Services for Distance Learners and UF Online: Visiting Campus? As a distance learner and UF Online student, you are welcome to use the library services available on campus. If you plan to spend time at Library West, please take a moment to familiarize yourself with the services available there. 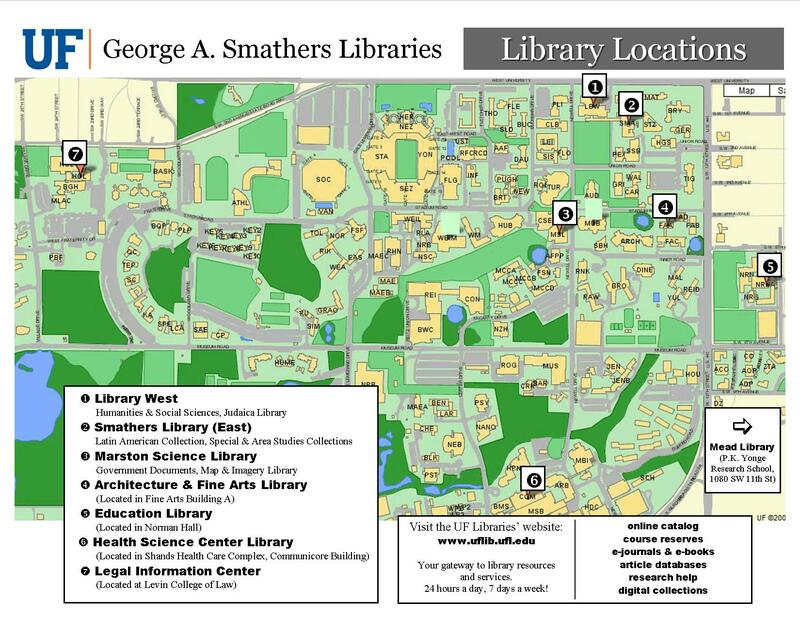 For information on the other wonderful libraries on campus, please visit the web links on this page.